Deloitte’s Scott Sopher will talk about the trends and technologies transforming supply chains at the Supply Chain Outlook Summit in November. Sopher, Global Supply Chain Service Line Leader in Deloitte Consulting LLP’s Strategy & Operations practice, will discuss the findings for the 2015 MHI Annual Industry Report developed earlier this year with Deloitte. 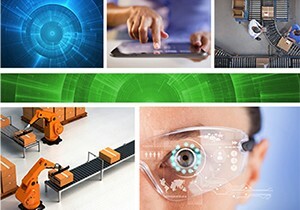 The report covers the new wave of technologies that are driving innovation in supply chains today as well as the realities that executives are dealing with every day as they strive to increase efficiency and reduce costs. Companies need to understand the capabilities and potential applications of the technologies and assess how they can be used to transform their supply chains. Learn more by downloading the 2015 MHI Annual Industry Report and by attending Sopher’s session at the Supply Chain Outlook Summit.